This sweet white cotton diaper set is made by Monelli, a leading manufacturer of classic children's clothing. Perfect for warm summer days, the top has embroidered pink flowers down the front and above the hem. The angel sleeves and hem are edged with soft cotton lace. 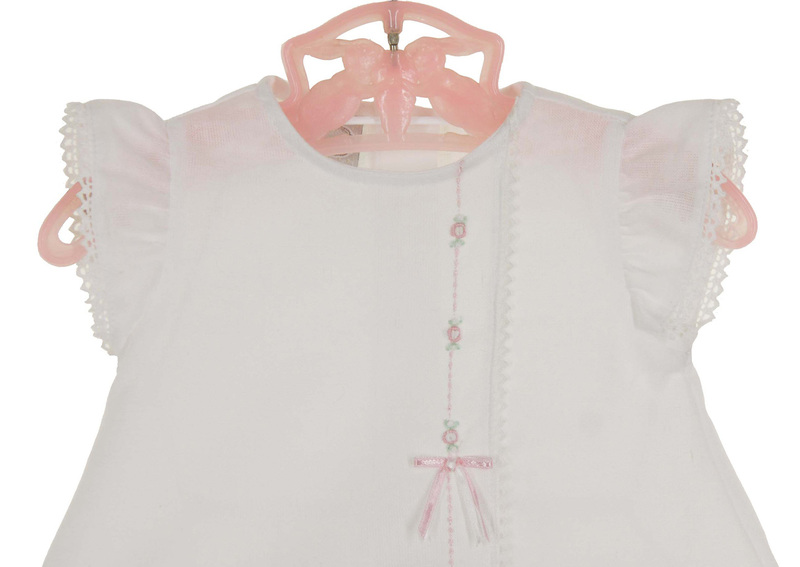 A back buttoned closure completes this darling outfit. Matching white diaper cover is included.